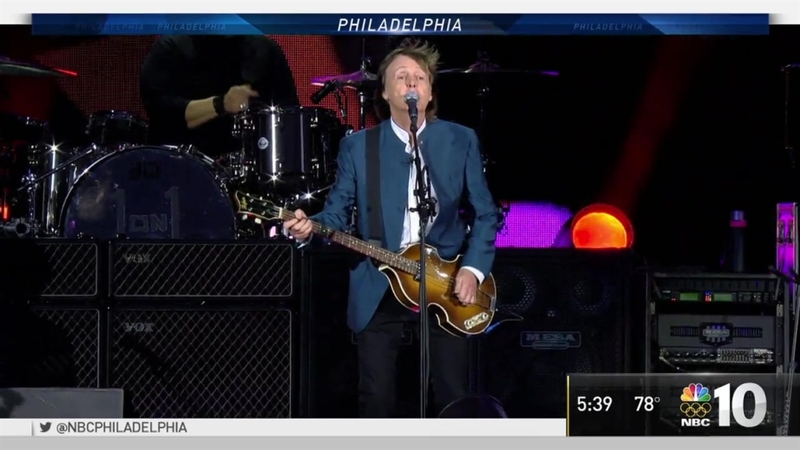 After working traffic control and security at the beloved Beatles' sold-out concert at Citizen's Bank Park Tuesday night, several Philly Police officers got a once-in-a-lifetime opportunity when Paul McCartney stopped by to pose for some pictures on the way out. These lucky officers will always have a story of meeting one of the world's most legendary musical icons, who is one of the last surviving Beatles along with Ringo Starr. He wrote scores of international hits, including "Love Me Do", "Hey Jude" and "Can't Buy Me Love", many of which he performed during his 3 hour long set. "He's just a cool, down-to-earth guy ---who happens to be a musical icon!" Sgt. Eric Gripp told NBC10. "All you need is love, right?" McCartney's One on One Tour is scheduled to stop at Hersheypark Stadium next week.